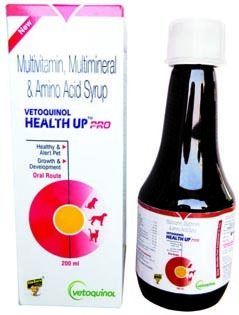 To be used in Young & Adult pets, to increase alertness & mental development,Growth & Development,To increase absolute muscle mass,For proper digestion & utilization of feed,Helps in blood synthesis. Avaliable in 200ml bottle. Nutritional feed supplement.